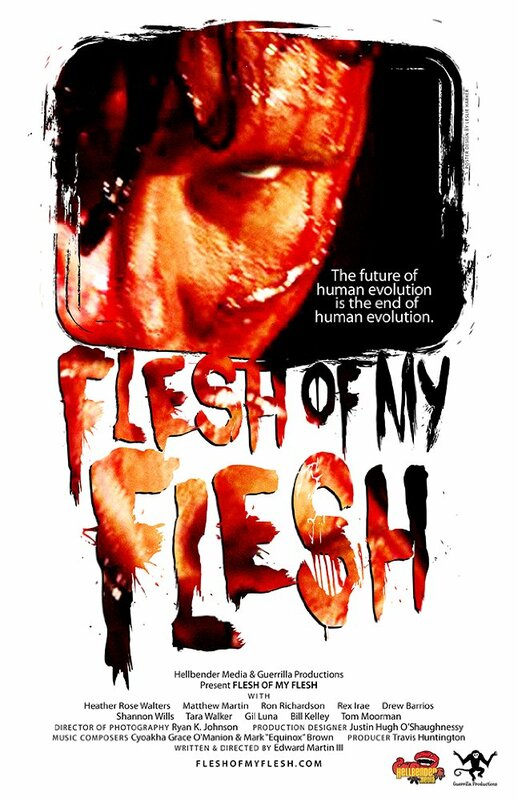 Another low budget zombie flick to join the ranks of so many that came before it, but FLESH OF MY FLESH is a highly detailed movie considering its budget. A team of trained soldiers are sent out on a mission to rescue any survivors in a city, but unwillingly get shot down in their helicopter and have to be rescued themselves. They come across some survivors that let them in to their hiding place from the zombie hordes, only thing is now the zombies know they are there. Now the rescuers have to team with the rescuees to escape the zombies before the place is bombed by the army in a last ditch attempt to get rid of the zombies once and for all. What they don't realise though is that these zombies are well organised and will only stop once they get what what they want.....meat! There is definitely alot of love for DAY OF THE DEAD (1985) in this movie as we even get a bit where zombies burst their hands through the wall, just like in that movie except here it isn't a dream. You will also notice that one of the characters is called Herbert West (RE-ANIMATOR) and also has a fondness for the deceased. There is a really good soundtrack to this movie which works throughout and doesn't distract you from what is going on. The only complaint I have is when the zombies are munching, the film goes through a mixture of colours, presumably to add a bit of artistic value to the film but for me it was just plain annoying. Edward Martin III wrote and directed this movie and has brought something fresh to the zombie genre that will make sense if you get a chance to check this movie out.